The failure of perspective that has led top Trump administration officials to make tone-deaf comments about how the government shutdown affects federal workers is the same failure of perspective that has led them to underestimate the political costs they have imposed on themselves by prolonging the shutdown. Their idea is essentially: This shutdown is no big deal because the workers will get paid eventually and it will all come out in the wash. They have come up with this idea because some of it really will come out in the wash. The president has signed a law guaranteeing essential and furloughed workers back pay once the shutdown ends — whenever that is. This doesn’t help laid-off government contractors, but it is true that hundreds of thousands of people who aren’t getting paid now can be confident they will be paid sometime in the future. 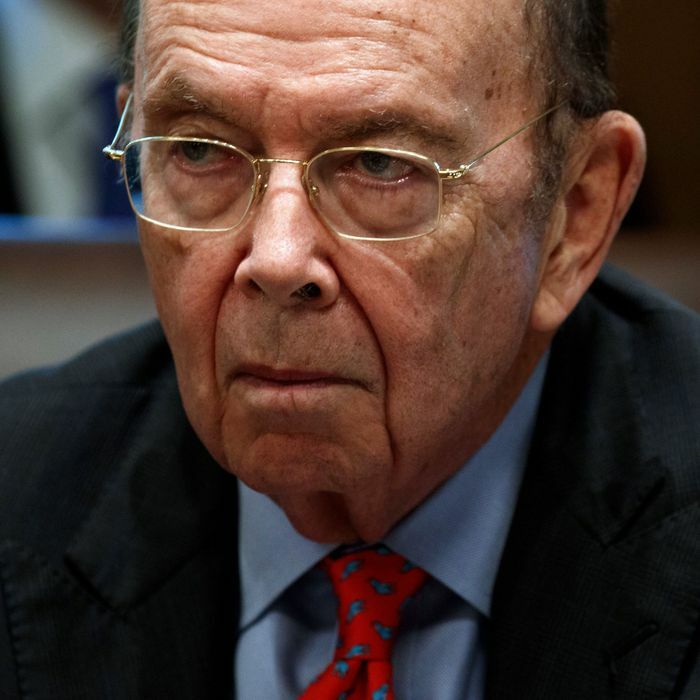 So, multimillionaire commerce secretary Wilbur Ross wondered this morning on CNBC: Why would federal workers go to food banks? Why don’t they just borrow money to pay their expenses now, and use the paychecks they know they’ll get sometime in the future to pay off those debts? “The 30 days of pay that some people will be out, there’s no real reason why they shouldn’t be able to get a loan against it,” Ross said on CNBC. He went on to note — accurately — that some financial institutions have been extending such loans to federal workers on favorable terms. Well, why didn’t these federal workers think of that? I guess there’s a reason they’re not the ones wearing velvet Commerce Department loafers around the West Wing. Of course, they did think of it, and a lot of them are borrowing money to deal with not getting their paychecks. Robert Frick, an economist who works at the Navy Federal Credit Union, notes on Twitter that many of his neighbors are federal workers struggling with not getting paid. Their strategies vary; in two cases, they had set up home-equity lines of credit before the shutdown, and are using those HELOCs to manage their finances during it. But not everyone has a HELOC, and not everyone can get a HELOC, because not everyone owns a home and has substantial equity in the home. Not everyone banks with a financial institution that is extending special loans to federal workers. A lot of federal workers who would like bridge loans would have to resort to borrowing on a credit card — meaning they may be paying 17 percent annual interest or more, instead of the 6 percent annual interest they might pay to borrow on a HELOC. And many federal workers don’t have credit cards, or don’t have much available credit on their credit cards. And even if they do have that available credit, they might reasonably be nervous about taking on more debt at a time when they don’t know exactly when they will be paid. It’s a big workforce, and it is surely possible to identify federal workers with plenty of liquidity and access to credit for whom a weeks-long delay of a paycheck is basically an annoyance. Maybe you can even find some furloughed federal workers who share Trump economic adviser Kevin Hassett’s view that they’re getting a free vacation. Of course, you can also find workers who have had to go to food banks. And there are plenty of workers in between: able to buy food, but needing to adjust their daily consumption habits and delay any nonessential purchases to cope with a significant financial strain whose ultimate extent is uncertain, because they don’t know when the shutdown will end. Trump officials’ minds go to the liquidity/annoyance/vacation case and not the significant financial strain case, because they would lean on their own access to cash and credit if a payment they were expecting got delayed by a few weeks. It is a reflection of how out of touch Ross is that it was CNBC anchors speaking from Davos, Switzerland who had to prod him to think about how an ordinary household’s finances might work. The expectation that this will all come out in the wash also underlies the Trump administration’s sanguine view on the macroeconomic effects of a shutdown. Hassett drew attention this week for acknowledging on CNN that a shutdown that runs all the way into April could push first-quarter GDP growth down to zero. Less noticed was the broader argument Hassett was trying to make: that GDP growth would be poor in the first quarter because of temporary effects from the shutdown — that is, nearly a million federal workers not getting their paychecks — but that would be offset by a pop in GDP in the second quarter, with all those people back at work. Maybe mostly, but not entirely. I spoke with Doug Holtz-Eakin, the president of the conservative American Action Forum who had been a top economic adviser to George W. Bush and John McCain. He agreed with Hassett that the “vast majority” of the shutdown’s hit to GDP in the first quarter would get reversed in the second quarter, assuming the government is open in the second quarter. But he also noted two channels through which the shutdown risks imposing persistent economic damage. One is that the shutdown could have a lasting, negative impact on consumer sentiment. Holtz-Eakin called this “a fair thing to worry about, given the drop between December and January.” This month, with the shutdown in effect, the University of Michigan consumer sentiment index hit its lowest level since Trump was elected. This is not the last time Trump will need to reach a deal with Democrats to fund the government. What if consumers worry this is the first long shutdown of many? Holtz-Eakin’s other worry is that the shutdown could highlight other economic risks due to government dysfunction, or that a shutdown-driven deterioration in relations between Trump and congressional Democrats could enhance those risks. Trump and Democrats will need to reach an agreement to raise the debt limit so the government can continue to make payments related to government bonds — a failure to do so could cause chaos in the financial markets. Trump and Democrats will also need to agree, by the end of the year, to continue government spending in excess of caps set by the Budget Control Act of 2011. Without such an agreement, there would be an automatic cut in government spending of about half a percent of GDP, which would put a significant brake on economic growth. Hassett had another point to make on CNN: that first-quarter GDP growth has often been understated in recent years because of a technical problem with the way the Bureau of Economic Analysis adjusts GDP for seasonal changes. If the first-quarter number is bad, you can watch for Trump officials to lay the blame on this “residual seasonality” issue. But the issue may not be real anymore: BEA is supposed to be rolling out changes to the way it calculates GDP to fix it. I can’t call BEA to ask how that’s going, because they are closed due to the shutdown. By prolonging the government shutdown, Trump is creating worries about both individual household finances and the broad macroeconomic outlook at a time when the economic outlook had been positive, but fragile. Besides the shutdown, the terrible performance of the stock market in December was likely a driver of this month’s consumer sentiment swoon. Investors have been worried about negative indicators of global economic performance, and how those could affect U.S.-based companies. Trump has periodically exacerbated these worries by fomenting trade disputes. Investors seem unable to make up their minds about whether the economy is going to be strong in the medium-term future or not. By keeping the government shut down, Trump is piling on new reasons for investors and consumers to worry about the future. If they worry more, they are likely to spend and invest less, creating a feedback loop that produces additional reasons for more worry, more disinvestment, and less spending. Households can’t be confident this is all going to come out in the wash. Because of that, the president shouldn’t be confident it will all come out in the wash for the indicators he cares about most — GDP growth, the Dow Jones Industrial Average, and his approval rating.